We all know that elk hunting requires total focus. But how can you focus on a hunt when your feet feel cold, hot, wet or sore. I mean it’s not like you can take off your boots when your feet start to feel the heat. Whether it's sunny, raining or snowing the boots you wear can be the difference between success and failure. So, what boots should you wear as an elk hunter? Obviously the best elk hunting boots. Unfortunately, due to the sheer number of boots on offer finding the best boots for elk hunting is easier said than done. Having said that, in this article, I will be discussing some of the things to consider when shopping for elk hunting boots. In addition, I have selected 5 of the best hunting boots for elk hunting for reviewing. But first here is a quick comparison of the 5 boots I will be reviewing. As with any other product, there are some things you should consider before buying a best hunitng boots such as - elk hunting boots. These are the things I will be discussing below. Elk hunting boots are shoes first before they are anything else. Thus, the first thing to consider when buying a boot is how it fits you. Whenever I go shopping for new boots I always wear the socks I normally wear when going hunting. This I do to ensure the boot I choose perfectly fits me even when I am wearing socks. It is something I recommend you do when buying new boots. Boots are generally built for mobility, not for luxury, and elk hunting boots are no exception. It is for this reason that most boots are made from nylon materials. Nylon materials are known for being lightweight and the best rubber hunting boots for elk hunting need to be lightweight. Moving about in a forest can be difficult if your boots are heavy. As hunters we find ourselves having to walk over wet or swampy surfaces. And at other times we have to contend with the rain. In such unfavorable conditions, the last thing you want is your feet getting wet. With waterproof hunting boots wet feet is not something you need to worry about. This being the case, always go for boots that are waterproof and will not let water in. Different weather conditions demand different boot types. During the month of September when the temperatures are still relatively high an un-insulated boot is ideal. However, as the temperatures start to drop and winter sets in go for an insulated boot. The insulation is to keep your feet warm during winter. When it’s sunny insulated boots may cause your feet to sweat and feel uncomfortably hot. Different people hunt in different environments, Some like crossbow for deer hunting some prefer rifle hunting. There are those who prefer mountainous Colorado while others prefer New-Mexico’s dry desert-like environment. For hunting in the mountain, a boot with good support is needed. Also, a boot with a reinforced toe guard will work best in a mountainous region. On the other hand, in a dry and hot environment boots with a synthetic inner lining for breathability is ideal. Irish Setter is a brand that can never go unmentioned any time there is a discussion on the best hunting boots for elk hunting. Thus, it should not come as a surprise that the manufacturer’s 882 Elk Tracker boots top my list. These all leather boot is the perfect shoe for elk hunting. This 12-inch boot is constructed from leather. Meaning you get the durability and toughness that leather is known for. But that is not all, the leather upper is 100% waterproof giving you the ability to walk on dry as well as wet surfaces. Inside, your feet are encased in 600 grams of ultra-insulation Thinsulate. The insulation comes in handy when hunting in low temperatures. This insulation combined with the EVA insole with memory foam makes it both comfortable and warm. A synthetic outer sole and sturdy cleats give the boot stability. Combine this with the steel support shank and you get a rigid and stable boot. With it, you can venture into mountainous environments with ease. What makes these boots ideal of elk hunting in different regions is their odor control feature. The boots remain odorless even after hours of being worn. This is an important feature as it complements your stealth hunting techniques. The 882 Track Big game boot is a versatile shoe that can be worn in different environments. Also, they are ideal for hunting in general due to their odorless feature. On top of this, they are waterproof and come with insulation. The best boots for elk hunting need to be breathable, comfortable, light, and waterproof. In my experience, not many boots can claim full marks on these categories. However, the Danner men’s Pronghorn come very close. First of all the shoe looks really amazing with a brownish color. But it isn’t just all good looks as it is also very comfortable. While they are marketed as uninsulated the inside of these boots feel warm even in low temperatures. The sole on these hunting boots are made of rubber. Given that rubber is a tough and durable material, the sole is of high quality. There is no terrain too rough for this sole. Unlike previous models of the boot, this version has a toe side stitching in its exterior. This stitching complements its overall stitching. The result is a boot that will not wear out easily and last longer than previous models. The boost is made of leather with a denier nylon. These two materials are both lightweight and tough. It is for this reason that the boot is long lasting. Inside the boot features a Gore-tex lining making it waterproof. A good shoe needs to be both functional and appealing to the eye. This is something that the Danner Men’s Pronghorn achieves brilliantly. It looks great and at the same time is functional. As a result, it is a versatile boot. 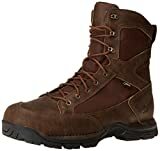 The Irish Setter men’s 880 Elk Tracker boots are boots I would recommend to any elk hunter, and not just because I own a pair. There are many reasons why this boot comes highly recommended. The 200-gram 3M Thinsulate insulation is enough to keep you warm in early fall without compromising on comfort on hotter days. I wear these boots mostly during spring and summer seasons. However, they have proven themselves more than capable to keep my feet warm during those cold early fall months. An eve insole with memory foam guarantees unrivaled comfort. Walking in these boots is such a delight that you might forget to take them off. There are a few things I hate more than my feet getting wet. Thankfully, the 880 Elk Tracker boots come with a Gore-Tex lining. This lining prevents water from reaching my feet. Therefore, my feet stay dry and warm throughout. 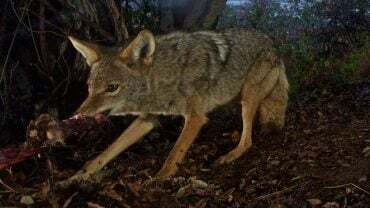 As a hunter the last thing you want is the scent of your shoes or feet giving your position away. The scent ban lining of the 880 Elk Tracker boots helps prevent this. This unique lining keeps away odor from your boots and feet. Irish Setter has been producing high-quality hunting boots for years. The company has thus become synonymous with high-quality footwear. The 880 Elk Track hunting boots are right up there with the best mountain hunting boots. 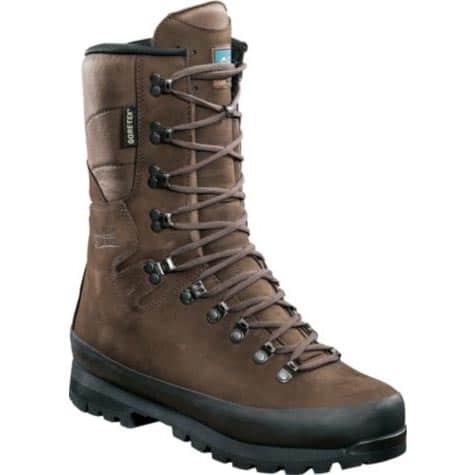 Meindl Men’s “Perfekt” boots are marketed as the perfect boots for mountainous regions. This is something I wanted to find out for myself. So naturally, I bought myself a pair. First of all, these boots are not as cheap as others on this list. Which begs the question are they really worth their price. The first time you slip your feet into these boots you immediately realize how well made they are. The food bed has a foot conforming natural cork, which I love. This cork protects your feet from shocks and molds to your foot for added support. During the cold season, these boots become your best friends. They feature 400 grams of Thinsulate insulation, which help keep your feet warm. I have used these boots during the winter season and they have never disappointed. With such insulation wearing these boots on a hot day must be unbearable, right? Wrong. The boot’s footbed have a moisture-managing layer. This layer draws moisture and draws it away to a dispersing layer. Therefore, your feet remain nice and dry. The comfy interior of the boot is surrounded by a tough full-grain nubuck leather. The upper comes with full rock rands that protect your feet from jagged terrains. In addition, the boots are 100% waterproof thanks to their Gore-tex lining. Though they are not the cheapest boots out there they do deliver on their promise. Thanks to their 400 grams of insulation they are the best hunting boots for cold weather. Furthermore, these boots are designed to be used in mountainous regions. Meaning that they are versatile and can be used in different terrains. Another beautiful creation of Irish Setter, the 2870 Vaprtrek hunting boot is the last on my list. However, do not let their position on the list fool you. This pair of boots has all the qualities of the best hunting boots for elk hunting. As a hunter the last thing you want is your prey catching a whiff of your masculine sweaty feet musk. Thankfully, the 2870 Varptrek boots come with the scent ban feature that Irish Setter has become synonymous with. This feature ensures that during those hot summer days your feet stay dry and the scent stays contained. The 2870 Varptrek boots are not some cheap boots made from low-quality leather or cheap plastic. These boots are built using a composite material that makes them feel lighter than most other hunting boots. The sole wraps around the instep to provide you with added support and protection. We all know that the toe and heel are always the first parts to wear out. And so do the good folks at Irish setter. It is for this reason that these boots come with a reinforced toe and heel. The two parts are wrapped in a proprietary material known as armatec. The latter is a protective covering that is both tough and abrasion resistant. This is a term you will find on the description of the 2870 Varptrek boots, which is a fancy way of saying they are waterproof. These boots won’t let any water reach your feet. Very few boots can match the Varptrek’s offering of performance and affordability. These boots are built for the hunt. The armatek protective covering helps keep your feet protected. On the other hand, the sole ensures you are safe from broken branches and other such things. In a nutshell, these boots are worth every penny you spend on them. Boots come in all shapes and sizes, some are made of rubber while others are made of leather. The trick is to know where you will be hunting. For example, the best rubber hunting boots are best suited to wet and swampy areas. While the best elk hunting boots are those that can be used in different environments. In conclusion, when shopping for the best boots for elk hunting always remember that they are for a specific task. 4 Best Scope For Scar 17 Rifle : Based On Field Test!